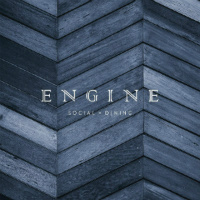 Engine is the visionary guise of award-winning chef Mark Kemp & Wil Akroyd, drawing upon their years of experience, bringing their concept of Social Dining to the heart of Sowerby Bridge. A culinary melting pot of amazing, bold & fresh flavours, hand-picked from all corners of the world & brought together in an energetic & vibrant setting. The place to relax, kick back & taste some of the most exciting flavours in the area, meet with friends, unwind with a cheeky cocktail after work or sit down and enjoy some quality family time. Amazing food with great vegetarian options. Incredible value for money. I will be visiting again soon! Excellent lunch- food and service both excellent. Absolute love The Engine. The food is amazing! We had a great time at Engine Social. Both the food and the staff were excellent. The only thing I would say is that it does get very loud when there are a few tables full around you and I found myself talking quite loud so my partner could hear me. Only an observation though we would happily book again and recommend to others. Seriously good food and great service. Delicious food, enjoyable evening as always. Hooks in the Ladies toilets would be great...no-one likes putting their handbag on a toilet floor, however clean it looks, thanks. I absolutely loved the food . . I don't particularly like fish   . I tried the crab and I couldn't believe how nice it was . Food atmosphere and value for money  . . Great service too . FANTASTIC - will definately be back again. Lovely food at The Engine set in a really contemporary venue with a luxe industrial feel. 1.5 hours is not enough time & the staff were rather abrupt about us vacating. Fab. Loved everything about it. Lovely tasty food and friendly staff! I booked after a recommendation from a friend. The food and service were excellent. We do enjoy Tapas and have been to many different restaurants but we thought this was the best we had ever had. We'll definitely book again.